This is extremely beautiful album and despite the long duration and some unnecessary musical additions, Chloe x Halle presents a great work of modern R&B/soul music, all songs are catchy and really well-done. So, The Kids Are Alright is a very promising debut album and shows how the sisters are talented and have a bright future in music. Favs: The Kids Are Alright, Hi-lo, Everywhere, Fake, Galaxy and Happy Without Me. They have a singing voice but this was just not a good album at all. It's pretty forgettable and really didn't do much. These singers aren't really known either. Don't get me wrong there were a few songs that were okay but everything else seemed like a put together album with not much effert. Is like a Disney album especially since they put a song from a Disney movie in there lol. Purchasing The Kids Are Alright from Amazon helps support Album of the Year. Or consider a donation? 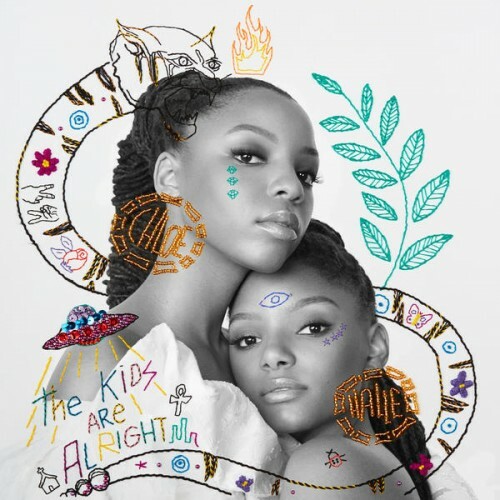 Video: Chloe x Halle - "The Kids Are Alright"